Hélène Saint-Raymond was born at Paris in the 17th district into a deeply Christian family, the eighth of ten children. After her studies at the college Sainte-Marie de Neuilly, she prepared for a degree in physics and chemistry at the Sorbonne and participated at the Centre Richelieu (a centre for Catholic students created by the Abbé Charles). A student was to give her this testimony in May 1994: “We became acquainted, at the age of 20, in the Centre Richelieu, when Hélène was president of the groups of Catholic science students. I remember her as a dutiful girl, always present when it was obligatory. Fidelity was, in my opinion, her main quality. She spoke little, but listened to everybody, she remembered all that had to be done, and she was always ready to help others. She knew how to make herself liked, not by her character, which was not outgoing, but by her reliability, her rigour, her fidelity in the faith”. Hélène Saint-Raymond was to become president of the Centre Richelieu following after a future Little Sister of the Assumption who invited her to be present when she took the habit in 1949. It was there that she became acquainted with the Congregation which she was to enter in 1952 after two years of professional life as an engineer at the French Petroleum Institute at Rueil-Malmaison. Before choosing the religious life, she wished to have a training course in a factory so as to experience the harshness of the condition of the workers in a factory for manufacturing cardboard at Bagnolet. In the course of the formation stages at the Mother House in Paris, she took the name of Sister Paul-Hélène; on the 29th of July 1954 and she pronounced her first vows there. It was in 1963 that Sister Paul-Hélène left for Algeria to maintain the Medico-Social Centre at Belcourt. In 1974, she was sent to Tunis then to Casablanca where, for three years she had the responsibility in a service for premature infants in a team that was entirely Moroccan. In 1984 after some months at the Mother House, Sr Paul-Hélène returned to Ksar el Boukhari, 180 kilometres south of Algiers. That experience was difficult, a source of tension, and the nursing activity as a foreigner was subject to restrictions to the extent that she was obliged to find other employment. Sr Paul-Hélène was attached to the library of the Casbah confided to the Marist Brothers in September 1988, where she went every day, whether on foot or by bus, she would be obliged to change her route according to how events evolved. She added: “At the library in the Casbah where I have been working for five years, the young people are still as numerous as ever, we are continuing to develop the material in Arabic which is indispensable for them; the relations between the young people and our team are unchanged. The same in our house in the Casbah, two sisters receive each week about a hundred young girls, women and children for sewing, knitting, school support. The “centre” is developing. Where it is necessary to pay attention is in the place where one is not known. We choose the places for shopping and the evening we do not go beyond 7/8 o’clock for returning home. Obviously, we have given up all walks: country, sea or mountain. Because of the small number of Christians, we know one another and relations are very fraternal, the bishops in these times particularly, visit the small communities, so as to take account of the particular situations. The telephone enables one from time to time to know if “things are going well for you’. We find in these two letters the seriousness of the analysis made by Sr Paul-Hélène, her lucidity at the same time as the commitment quite simple, but how real, of her life that was completely given. It is in the logic of the response she made to Mgr Teissier, the Bishop of Algiers, who was questioning the sisters about their choice to leave or to remain: “Father, in case, our lives are already given”. 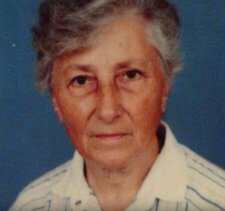 On the 8th of May 1994, Sr Paul-Hélène was in the library as usual; at the beginning of the afternoon three men presented themselves saying “Police” and asked to see the “boss” while she was leading them towards the office of Brother Vergès she was shot by a bullet in the neck, next there was a second shot for the brother, right in the face. They were the two first victims of the 19 Martyrs of Algeria who were beatified on the 8th of December 2018 at Oran.